Thanksgiving Dinner for Two – Yes We Can! The silver lining for us unfortunate New York City transplants with no family nearby, I suppose, is that we get to create our own quiet traditions! With some modifications and a twist to the traditional meal, I hoped to recreate the warmth and festive feeling of this holiday. It’s hard to imagine that the star of a meal would be a side. 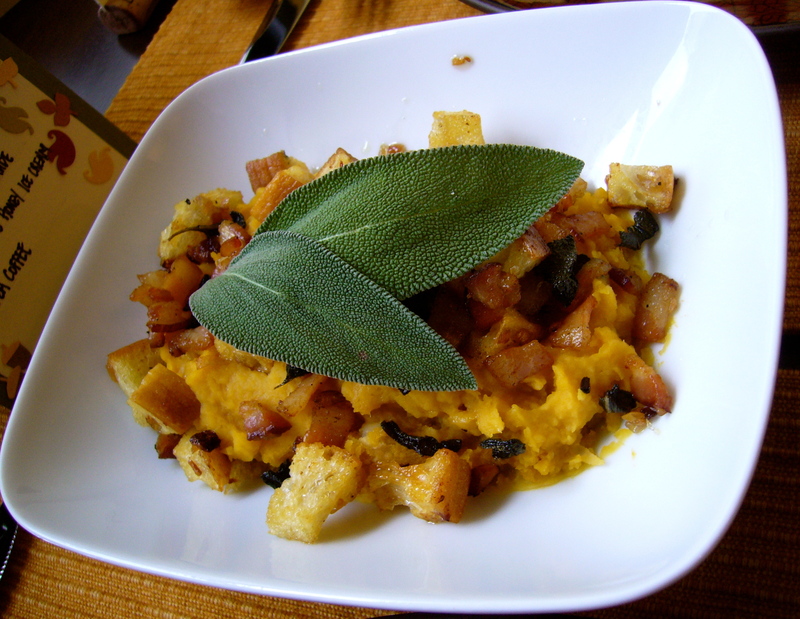 But try out Big Girl Small Kitchen’s Butternut Squash & White Bean Puree with Bacon Sage Croutons and I think you’ll agree with me. A dish with such a nice sweet / savory combination and great crispiness to break up the puree, what’s not to like! 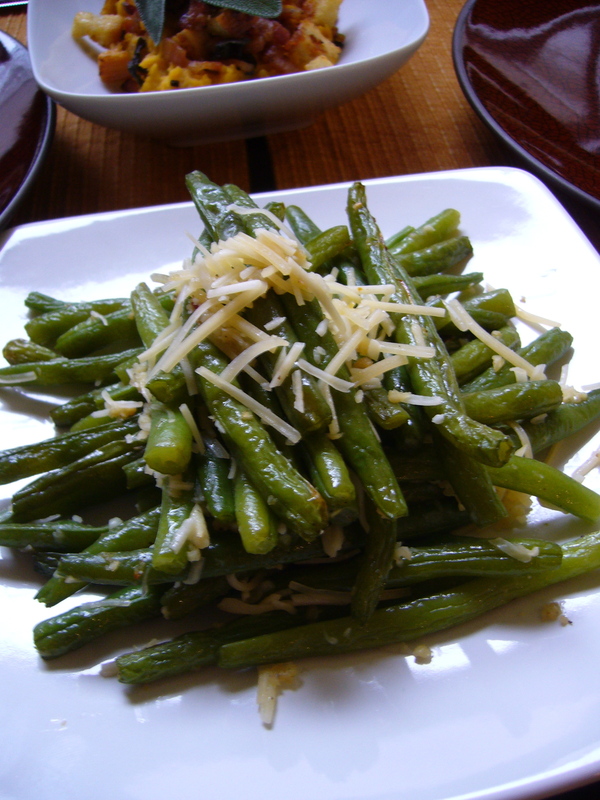 As another side, I wanted to make a lighter version of another Thanksgiving favorite, the String Bean Casserole. I loved this String Beans a la Marc recipe from BGSK – the nice garlicy notes went very well with the bird of the evening. And now, the Thanksgiving bird! I decided to pardon a turkey and make a zesty & refreshing Lemon-Garlic Roasted Chicken Breasts (at this point, I might as well rename my post, a Very BGSK Thanksgiving…!). To end the evening just right, we gave thanks to the wonderful fig & honey. 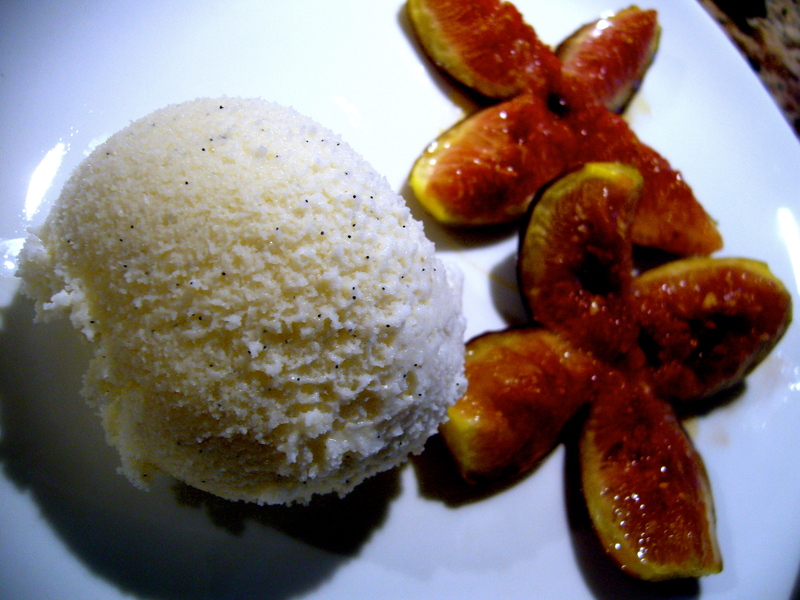 I made some beautiful roasted figs which accompanied the nice vanilla bean in Maison du Miel’s Honey Ice Cream so well (especially with a hint of richness added by butter used for roasting the figs). 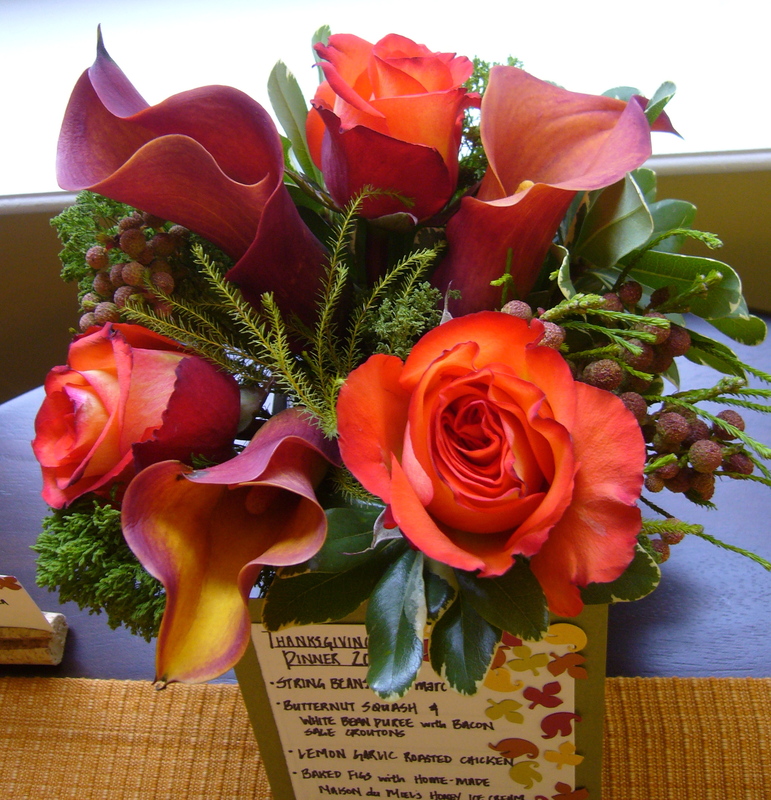 Using rich burnt orange palette, I created a menu with paper punched fall leaves & a petite fall arrangement with Mini Calla Lillies, Roses, Waxberries (too cute, like mini lychees!). Thanks Shane! Let me know what you think after you make it. Enjoy your GreenEgg Turkey – take some photos!